Visit us Tuesdays - Sundays, 12 - 6 pm. Free Admission. Exhibits continue through March 16, 2019. Mixed-media photography work by Jorge Ariel Escobar will be exhibited in the Jane Sandelin Gallery. "Jorge Ariel Escobar (b. 1994) is a photomedia and interdisciplinary artist currently based in Richmond, VA. He holds a BFA in studio art with a photography emphasis from James Madison University. As an undergraduate student, he received a CVPA Research Grant and participated in a photography studio in Prague. His work explores the internal dialogues that we have with ourselves, which includes our emotions, thoughts, and memories. As an interdisciplinary artist, Escobar works with analog photography, 19th-century alternative processes, fibers, and printmaking. His use of photographic imagery is a means to visualize his own thoughts or visions that run through his mind and allow him to better understand himself and the human condition. Tom Campbell displays his new series of abstract paintings. His exhibit will be in the Centre Gallery, East. "Exploring form and movement in painting is best accomplished using only the basics: black and white. Embedding these forms in a sea of color constrains and enhances the movement to complete the picture." "Everything I do and make is a self-portrait. My gestures, handwriting, photography, and paintings are all glimpses into who I am as a woman. Some things can be more revealing than others. The series of portraits on display at Art Works called Mirror Mirror digs deep by way of freer brushstrokes and textures on canvas. It is a beautiful, yet temperamental, chapter of my ever-evolving body of work." This annual group show will represent MRAA members. This exhibit will be in the Corner Gallery. Jose displays colorful surrealist paintings in this solo exhibit. This exhibit will be in the Skylight Gallery. "I paint with my heart and I make in the canvas the color of my soul. I'm a Salvadorian artists living at Richmond, My goal is paint surrealism with my own style based in scenes from life." 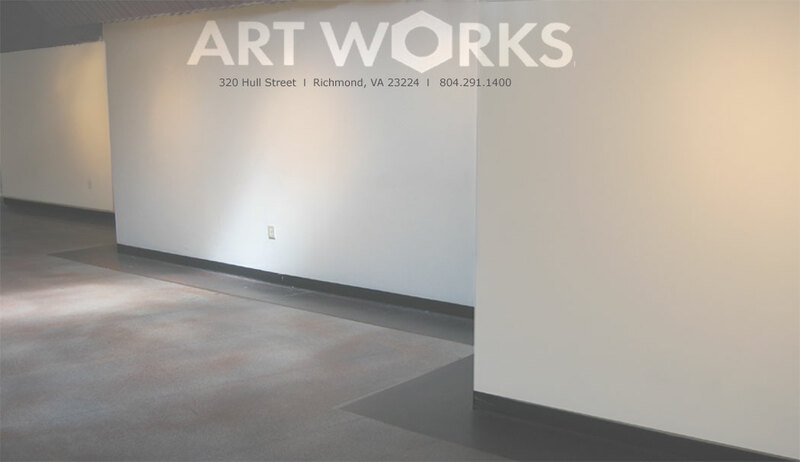 Each month Art Works offers artists from all over an opportunity to participate in a juried art show. Mike Guyer will jury this exhibit. Submissions are accepted from any artist in any medium on Feb 15 - 16th at Art Works, 12-6 PM. Any size and any media are acceptable. Click here for details on entering your work.